Leave a Legacy for International Educators! 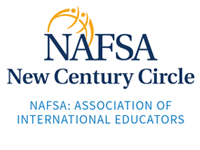 The New Century Circle is a special group of unique NAFSA supporters dedicated to planning for future generations of international educators. By participating in the New Century Circle you give us confidence that we will be able to continue to reflect your ideals for generations to come. By offering NAFSA a planned gift, you help to ensure the future security and solvency of the association. In addition, such charitable contributions often provide the donor with substantial tax savings and deductions. If you have already included NAFSA in your estate plans, please let us know. Many times, because we haven't been told of your intentions, we lose the chance to say thank you now and make certain your wishes are properly carried out by NAFSA. As of December 31, 2017, 214 colleagues have pledged to the New Century Circle. Please join us today . View a full list of NCC supporters.